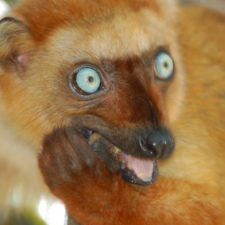 My research examines the ecology and behavior of lemurs in a range of habitat types (from highly disturbed fragments to relatively intact continuous forest) in Tsinjoarivo, eastern Madagascar. 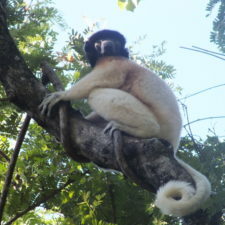 One major focus of this research is improving our understanding of lemurs’ unique adaptations (compared to other primates), which might be linked to ecological conditions in Madagascar. The second major focus is examining lemurs’ range of habitat tolerances and their ecological and behavioral responses to habitat disturbance and fragmentation. 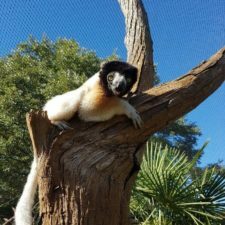 My main focus has been on the diademed sifaka (Propithecus diadema) but other aspects of my research have focused on the lemur community and my group is expanding to focus on bamboo lemurs (Hapalemur griseus) and brown lemurs (Eulemur fulvus). 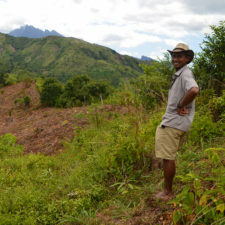 My research complements – and is facilitated by – Sadabe, an organization working in Madagascar. Donations can be earmarked for specific programs. If you wish to sponsor a particular program, please note it in your donation form.